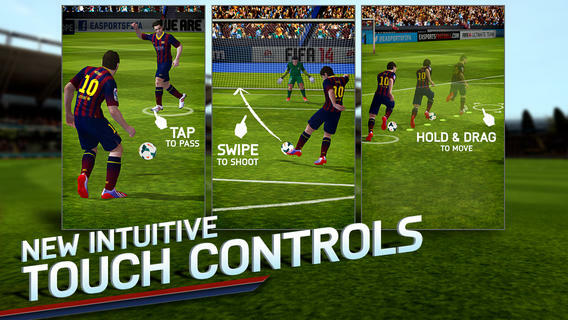 Ahead of the FIFA 2014 World Cup in Brazil, soccer (or football) fever is spreading to iOS and Android devices first — as the FIFA 14 app is now available as a free download on smartphones all over the world. The game is sure to appeal to soccer fans as you get to play with real-world fixtures featuring 33 leagues and more than 16,000 players — with every injury, suspension, and change in team form reflected in-game. 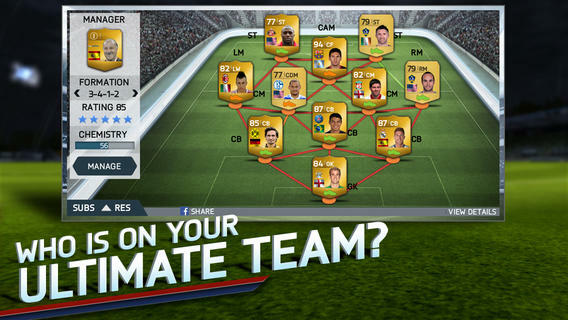 FIFA 14 may be downloaded for free — last year FIFA 13 cost $6.99 — but it is targeting revenue from in-app purchases such as unlocking game modes and buying points to form your fantasy team.